EASTBOURNE 63: Richard Lawson 14+1, Edward Kennett 13+1, Lewis Kerr 11, Tom Brennan 9+1, Georgie Wood 6, Alfie Bowtell 5+3, Ben Morley 5+2. 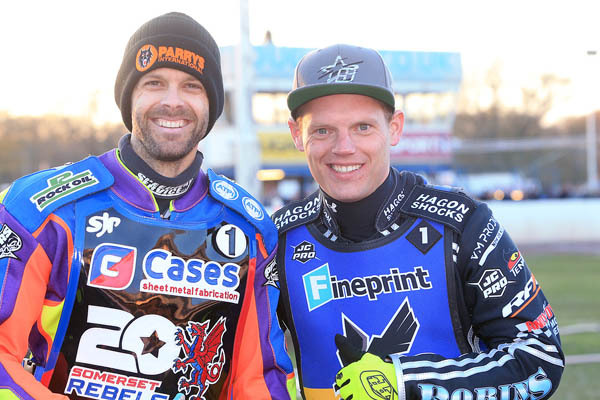 SOMERSET 27: Rory Schlein 12, Justin Sedgmen 6, Chris Harris 5+1, Anders Rowe 2, Valentin Grobauer 1, Henry Atkins 1, Todd Kurtz 0. 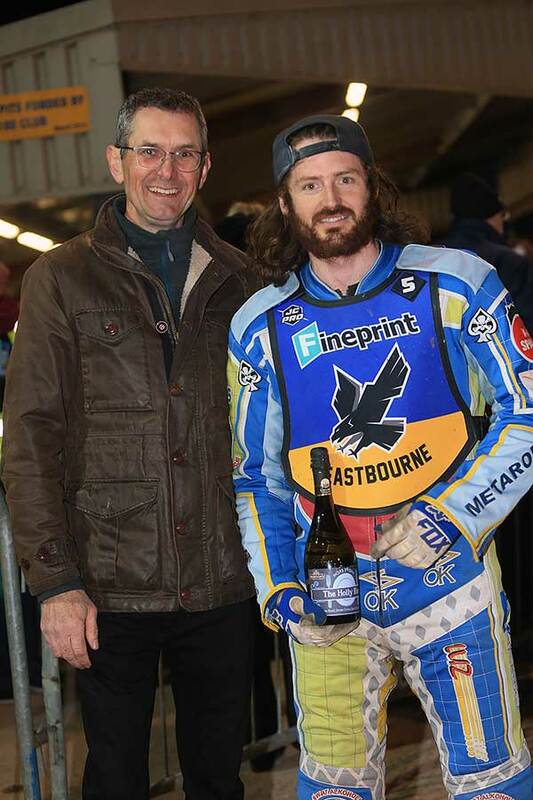 Eastbourne’s flying Fineprint Eagles grounded the Bomber and his Somerset Rebels at Arlington Stadium tonight (April 13). The visitors were swamped by the home side’s heatleaders who nullified the threat of Chris ‘Bomber’ Harris and visiting No 1, Rory Schlein. This trio nullified the threat from Harris, who did not score a heat win, and then tamed Schlein who zipped to two early heat wins but did not take the chequered flag again. 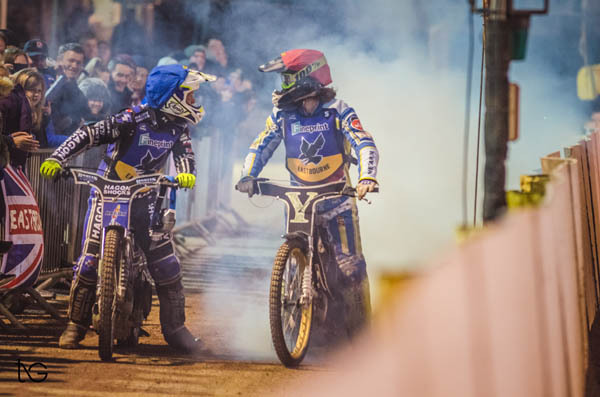 The result was something of a surprise as many people are tipping Somerset for success this year having dropped down from the sport’s top UK division, while Eastbourne have moved up from the sport’s third division. The victory augurs well for the Eagles in this three-team group mini-league in the Championship Shield competition. They have won both home matches before going on the road to face Somerset on April 24 and Birmingham on May 1. Group winners could easily be decided on race points and such a convincing win puts Eastbourne in a strong position. “I thought it was going to be a lot tighter than it was last week against Birmingham. “Somerset have a good team, good heatleaders, well experienced and I was expecting a tough challenge. “We made a good start to the meeting and kept the hammer down from there. Pottinger said the nerves and first-meeting worries were erased last week and the team had confidence going into the match. He said the new team was gelling and “I think that is showing on track because we are getting on so well and having a good laugh”. Rider of the Night, sponsored by The Holly Bush: Richard Lawson. 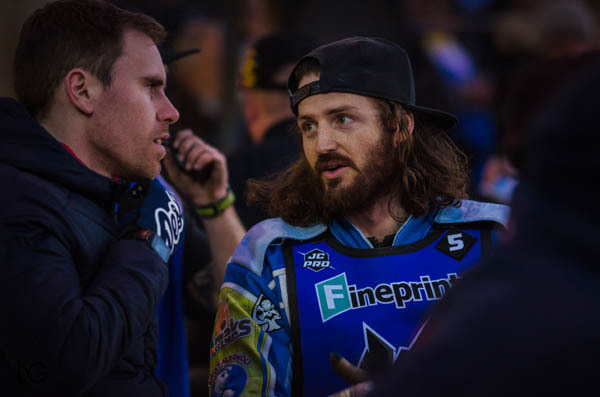 Eastbourne ‘Fineprint’ Eagles sent out a cold clear message to their Championship league contemporaries that they are not just along for the ride in Season 2019. 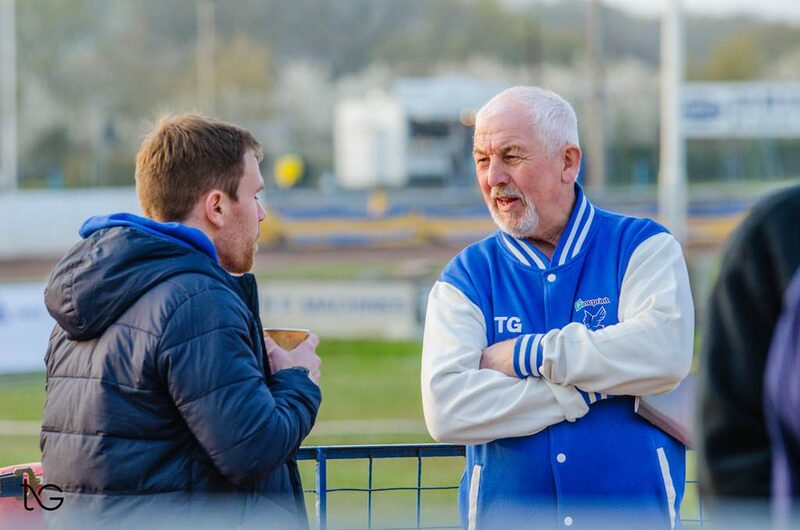 The Sussex side dominated proceedings as they put the highly rated Somerset Rebels to the sword at Arlington Stadium on Saturday night, winning by a colossal 63-27 margin. 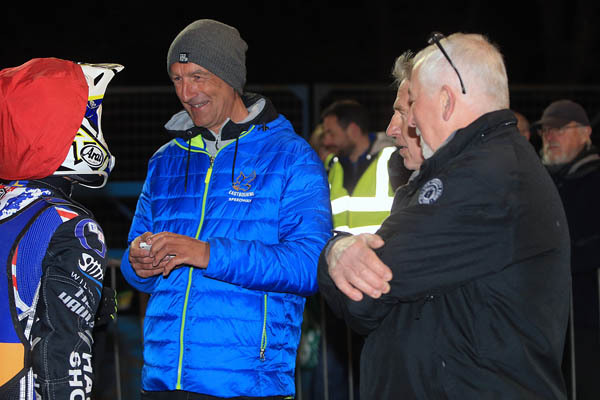 A tough test had been widely anticipated in the lead up to the Championship Shield fixture, especially with the Rebels already tipped for honours and tracking experienced heavy hitters Chris Harris and Rory Schlein. 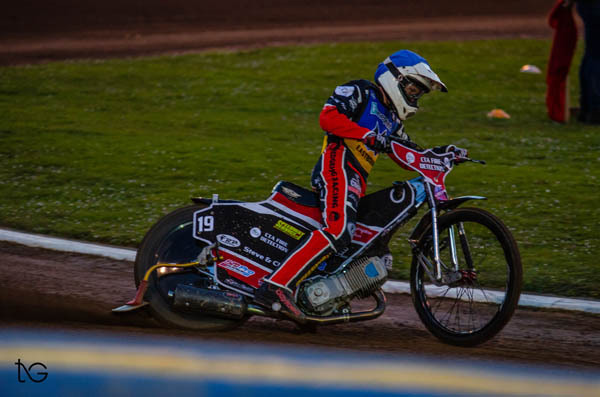 The visitors started brightly as Schlein gated to outpace Eagles skipper Edward Kennett in the first race, however a brace of 5-1s in each of the next two put the hosts on course for considerable victory. Schlein would triumph again in heat five but thereafter their cutting edge was blunted by the rampant Eastbourne display. Harris never really got going and that tough test largely failed to materialise. For the second week in succession Kennett and fellow heat leaders Richard Lawson and Lewi Kerr were in superb form with just 2-points dropped to the opposition between them. Tom Brennan shone once again with two wins numbered in his paid double figure return. Elsewhere, the remainder of the side Ben Morley, Alfie Bowtell and Georgie Wood all rode with distinction and increased their respective returns against Birmingham. Such a big victory hardly appeared the likely outcome as Schlein trapped in the opening race to see off the challenge of Kennett in a winning time of 57.4. Morley took third place ahead of Todd Kurtz for an opening share of the spoils. Wood and Brennan combined for maximum points in the second however (winning time 58.3) leaving Rebels reserve duo Anders Rowe and Henry Atkins chasing shadows. A similar outcome in race three put the Eagles into an 8-point lead (13-5) and in firm control of the fixture. Kerr took the win (winning time 59.6) and Bowtell backed him with every turn of the wheel, seeing off both Valentin Grobauer and Justin Sedgmen in the process. The imposing presence of Harris loomed in the next but it was Lawson all the way as he took the chequered flag in a time of 58.0. Brennan impressed by nipping at Harris’s heels but he just couldn’t get in terms. Nevertheless a further 4-2 put Eastbourne 10-points to the good with the scores standing at 17-7. Schlein took the honours ahead of Kerr in heat five put the hosts packed the minor places with Bowtell leading home Kurtz (winning time 58.2) to maintain the double figure advantage. 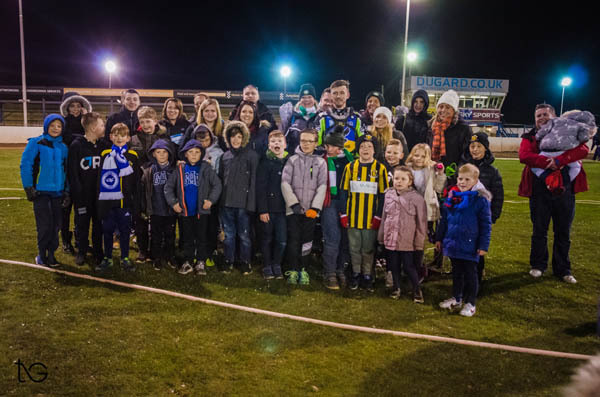 The margin stretched to 12-points as Kennett romped home ahead of Harris in the sixth (winning time 57.8) and Morley had too much for Rowe as the resultant 4-2 saw the scoreline move to 24-12. Lawson hit the front in the next but anxious moments followed as Grobauer and Wood seemed to connect on the third turn bringing both down. The German was ultimately judged to be at fault by referee Barbara Horley and was ruled out of the rerun. Thankfully, Wood was able to continue but the Rebels misfortune increased as Grobauer was ruled out for the meeting suffering a scaphoid injury to his left hand. 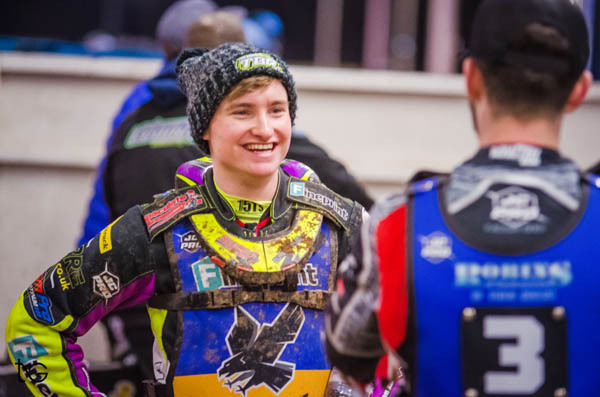 In the rerun Lawson had far too much speed for Sedgmen (winning time 58.1) and with Wood riding unchallenged for third place and the 4-2 the Eagles already looked set for victory with the scores now standing at 28-14. Further adversity blighted the visitors in heat eight as Kurtz took a tumble on the second turn of the final lap. The Australian appeared to have put two pointless rides behind him as he led the field, but with Brennan applying pressure he parted company with his machine leaving the Eagles duo to take maximum points. 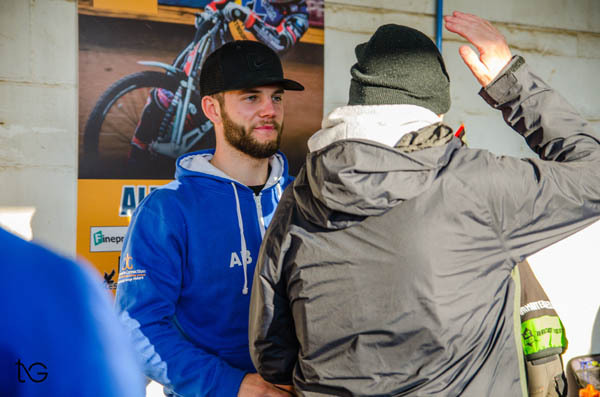 With the scores now standing at 33-15, the Rebels attempted to halt the slide by introducing Schlein as a tactical substitute to ride alongside Harris in race nine. There was only going to be the one winner however as Kerr proceeded to end Schlein’s winning streak (winning time 58.2). Bowtell was a first bend faller and might have felt hard done by that a rerun with all four was not called. Nevertheless, Kerr’s win ensured a share of the spoils, the scores now standing at 36-18. The Sussex men continued to tighten the screw over the remainder of the programme. 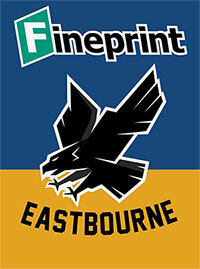 A brace of 4-2s in ten and eleven proceeded to put Eastbourne 22-points (44-22) to the good. Kennett was yards faster than Sedgmen in race ten (winning time 58.2) and Lawson saw off Schlein in some style in the next (winning time 57.9) with the hosts picking up the odd point on each occasion. 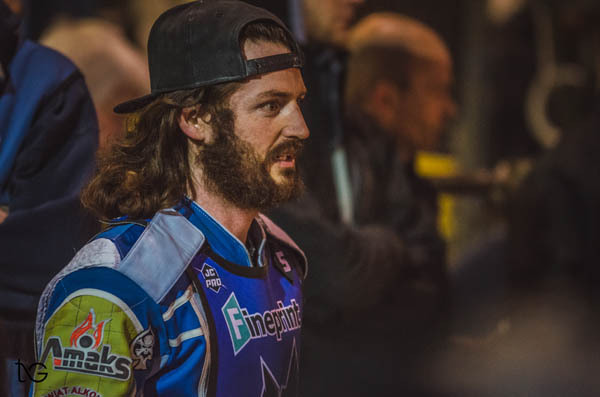 Atkins suffered a fall in heat twelve and Brennan and Bowtell expended little energy in banking a further 5-1 (winning time 60.0) to take the scoreline to 49-23. The race that everyone had undoubtedly been waiting for was then at hand as Kennett and Lawson lined up alongside Schlein and Harris. 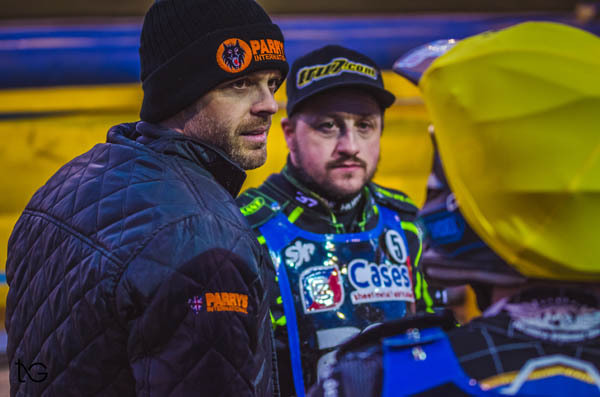 First the riders were called back under orders due to a starting marshal infringement and then a miserable night for the former Cardiff GP winner concluded as Harris crashed out at the first turn in the rerun. Lawson and Kennett then combined to deny Schlein (winning time 58.8) at the third time of asking, Eagles extending their lead to a massive 54-24. 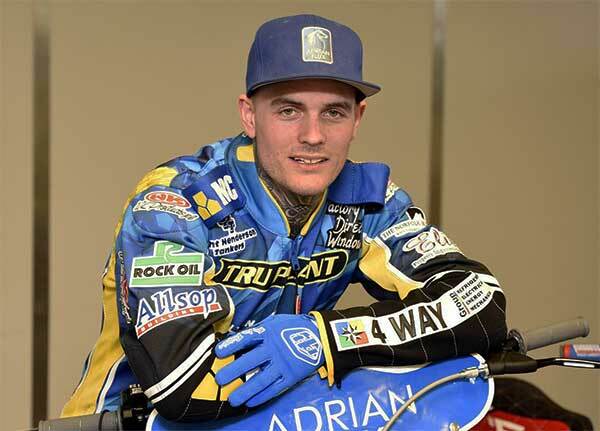 Kerr headed Sedgmen home in the penultimate race (winning time 58.8) and Wood banked the minor place point for the 4-2 that sent them into the final race of the night leading 58-26. 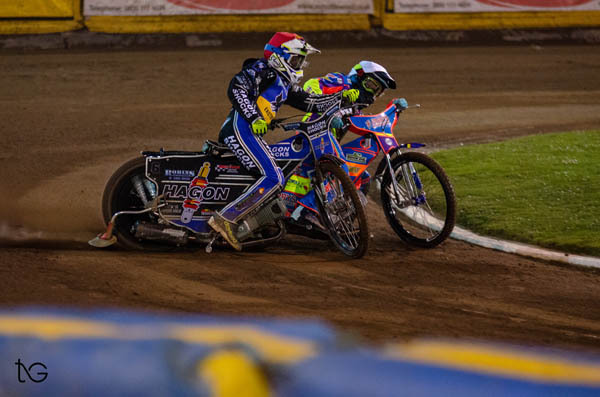 All fight had seemed to have left the Rebels by this point and Kennett and Lawson duly wrapped up the match with another maximum 5-1 over Schlein (winning time 58.3). 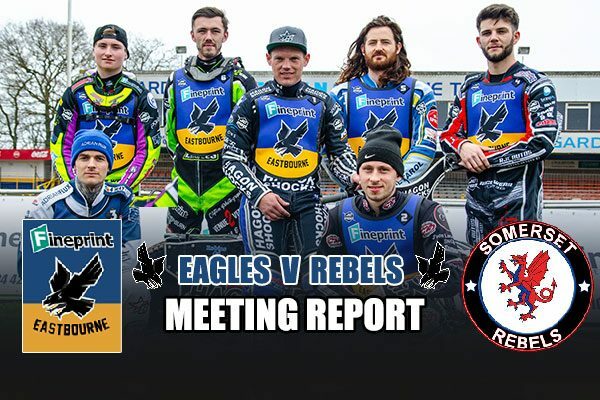 Certainly a night of triumph for the ‘Fineprint’ Eagles and one that continues the positive vibe that currently circles over Arlington however very much an evening to forget for the beleaguered Somerset septet and an occasion that they will quickly want to bounce back from. Also keep tuned in to this website in the week ahead. We will have more news on Monday and during the week as we begin the countdown to the Good Friday showdown with Birmingham in the KO Cup. Tapes up at 1pm. Get your Fineprint Eagles news delivered straight to your mailbox. Your new website, launched less than three months ago, has been a huge hit as supporters have been kept up to date with all the latest news in dozens and dozens of posts. We have had more than 100,000 page views since we launched the new site on January 21. The website has all you need to know about your Eagles but did you know you can regular emails from us, updating you when the site has been updated? You will also receive other messages from the club, including offers from time to time on our superb merchandising range. Why not register now and become part of the Eagles Community? Click here to join up.